While Maui – and by extension, Hawaii – is obviously at the top of our list in terms of our favorite foodie travel destinations, we love exploring new parts of the world as well as discovering what local food and beverage gems lay beneath the surface of some of our past travel destinations. This time around, we are taking our foodie travel recommendations of 2018 – Spain, Indonesia, Mexico, New Zealand & Thailand – and pushing forward into new territory to offer some fresh recommendations for your 2019 travel destinations, where craft spirits, locally-inspired cuisine and foodie culture flourish. 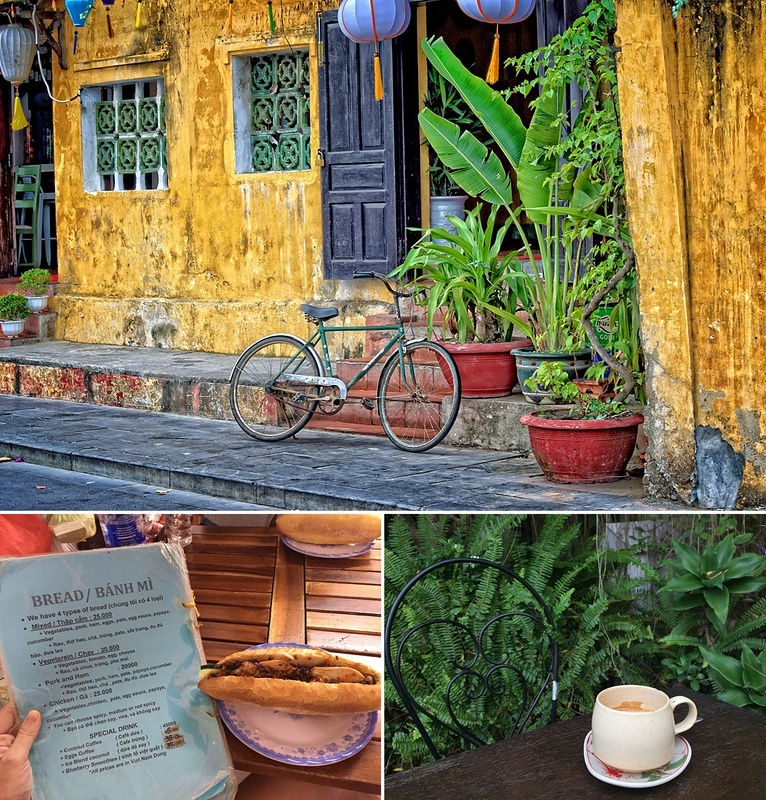 Located on the eastern coast of central Vietnam, the charming, historic and colorful town of Hoi An is perhaps one of the most photogenic places you could hope to visit in real life. While its largely intact Ancient Town, the centrally-located ‘downtown’ hub of Hoi An (if it were large enough to be called a ‘downtown’) wasn’t established as a UNESCO World Heritage Site until 1999, its history as a former home to the ancient Sa Huynh people, as well as a major commercial trading port for ceramics, silks and spices under the Champa Kingdom, dates back as far as 1000 BC. Largely known for its distinct yellow-colored buildings, walkable town streets, architectural monuments, open market, affordable custom tailor shops, surrounding rice fields and abundance of bright silk lanterns, Hoi An is also rightfully at the top of our list in terms of quality Vietnamese cuisine and locally-crafted beverages. Here’s something you may or may not know: the annual low temperature in Hoi An is about 66 degrees Fahrenheit, with summer months regularly reaching into the 90s. So while a cup of coffee may sound enticing from afar, rest assured that you’ll likely want something a little more refreshing for those midday scooter stops around town. A practical alternative to your standard cup of hot coffee, you can’t come to Hoi An without indulging in a delicious Coconut Coffee, made with a mixture of dark roast coffee and a dollop of blended coconut cream, sweetened condensed milk and crushed ice. When the caffeine buzz wears off and you’re ready to switch it up, grab an inexpensive local beer – we like Bia Hanoi, 333, Saigon Special & Larue – at one of the many riverfront spots around town, or a craft Vietnamese beer and cider at Hoi An Artisan Brewery or Tap House. Never underestimate the power of a good sandwich, especially from a Vietnamese lady known as the Bahn Mi Queen. Stop into this quaint shop and try the bahn mi magic for yourself, made with ingredients like cilantro, onion, chili sauce, fish sauce, chicken, pork pate, egg sauce (Vietnamese mayo), papaya and cucumber. Alternately, you won’t want to miss the local specialty known as Cao Lầu, a common breakfast dish made with rice noodles, barbecued pork, greens and croutons, that can be found at almost any street vendor. Yum! Noted for its growing reputation as one of the most tourist-friendly, budget travel destinations in Europe, Prague makes for an ideal European getaway for anyone who remotely appreciates architecture, history, culture, food and even jazz music. Founded as the capital of the Czech Republic after the split of Czechoslovakia in 1993, Prague has transformed from a largely overlooked tourist destination to a mecca of well-deserved cultural fascination. Lined with romantic and dramatic cobblestone streets, as well as walkable local attractions like the Old Town Square, Prague Castle, Jewish ghetto and Charles Bridge, the mixture of gothic and colorful buildings are like something out of a dark fairytale. Drinking an average of 161 liters – or 42.5 gallons – of beer per person annually, residents in the Czech Republic are said to consume more beer per capita than any other country in the world, including nearby neighbors like Germany, Belgium and Ireland. 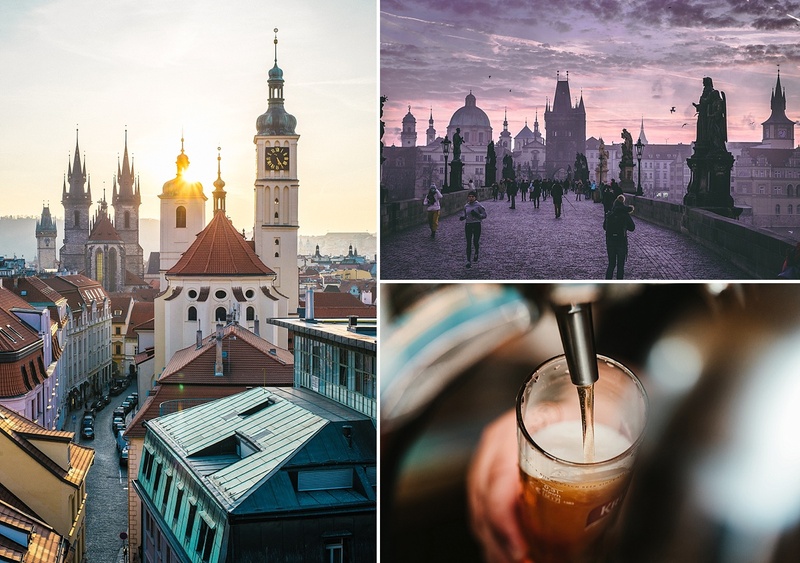 With prices as low as $0.75 per beer, Prague is home to several unique brewery hotels, monastery breweries, beer trams, beer gardens and even beer baths, making it the ultimate spot to enjoy a cold one in a (typically cold) place. Most often served with fruit juice, Becherovka is a popular ‘Vermouth-style dry aperitif’ known for its bitterness. When mixed with pear or pineapple juice – which may or may not be heated depending on the time of year – this herbal boozy concoction, which often has notes of cinnamon and ginger, can also be mixed with tonic water for a more standard cocktail order. While sure, you might have a difficult time correctly pronouncing the majority of local food specialties on most menus, don’t be afraid to give this dish a try. A classic Czech dish typically prepared for family dinners and gatherings, Svíčková consists of braised and marinated sirloin beef covered in a healthy dose of root vegetable cream sauce, served alongside knedlíky – traditional bread dumplings – and a slice of lemon, cranberry sauce and unsweetened whipped cream. Though you’ll find it on the menu at an assortment of worthy local restaurants, Cafe Louvre, once frequented by Franz Kafka and Albert Einstein, is undoubtedly the most famous place to try this local Czech specialty during your next Prague outing. Perhaps best known for its shorts, pink sand beaches and its reputation as the shipwreck capital of the world, the self-governed British island territory of Bermuda has a lot more to offer than meets the eye, despite offering an insane amount of natural beauty around almost every corner. An archipelago consisting of 138 islands and islets over a total area of approximately 21 square miles, Bermuda sits much further north than most people assume, with the closest land mass of Cape Hatteras, North Carolina, still 665 miles to the west. 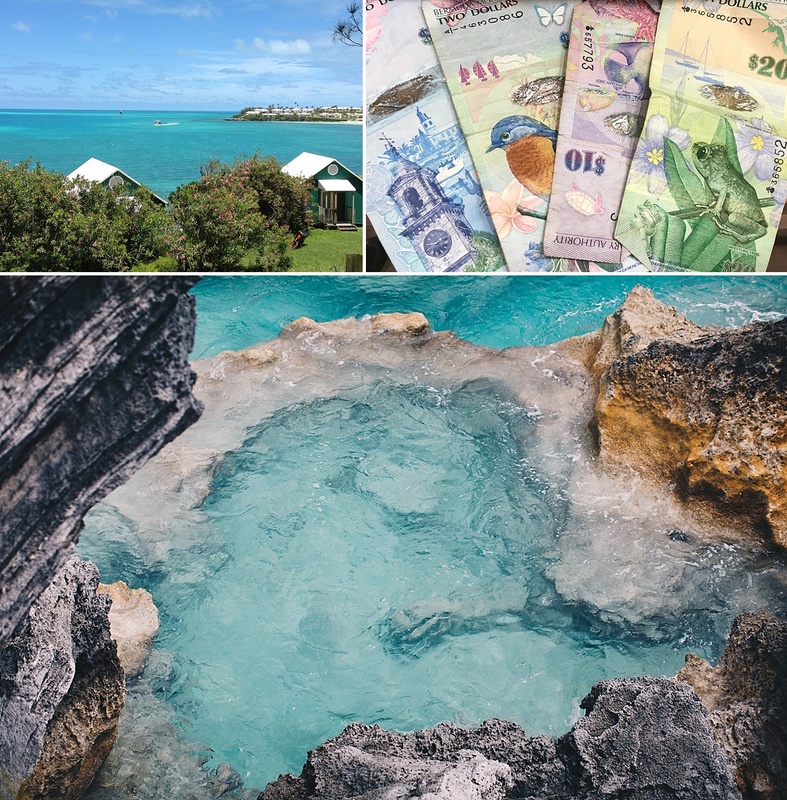 While definitely not a budget travel destination – the Bermudian capital of Hamilton was recently named as having the highest cost of living in the world, as well as the most expensive restaurants in the world – it’s well worth the journey if you can afford to splurge a little (or a lot, rather). Bermuda’s signature cocktail, the trademarked Dark ‘n Stormy, along with its official key ingredient – Goslings Black Seal dark rum – was invented right here in Bermuda. Put it on ice with some locally-crafted Barritt’s ginger beer and a lime wedge, and voila, you’ve got everything you need to enjoy your first authentic Dark ‘n Stormy cocktail in tropical paradise. Yet another local favorite you’d be wise not to miss, head to the beloved Swizzle Inn, said to be Bermuda’s oldest and most famous pub, to try the original Rum Swizzle. Made with Goslings Black Seal dark rum, Gosling’s gold rum, triple sec, pineapple juice, orange juice, Bermuda Falernum, angostura bitters and fresh lemon juice, this fruity concoction makes gazing out at the ultra-turquoise waters that much sweeter. Widely recognized as the national dish of Bermuda, the original recipe for this local take on fish chowder was said to be developed by Bermuda’s British colonizers in the 1600s. Much lighter than traditional chowders made with cream and milk, Bermudian fish chowder recipes typically call for fish stock, fish fillets, tomatoes, onions, herbs, spices, black rum and the locally-crafted condiment, Outerbridge’s Original Sherry Peppers sauce. Although codfish doesn’t necessarily scream ‘breakfast food’ to most travelers, the Bermuda Codfish Breakfast is a staple among locals, especially on Sunday mornings. A food tradition dating back to the 1700s when tradesmen used to swap salt with local cod fishermen, it remains a local favorite today and can be found just about anywhere. After the codfish is boiled and salted, it is most often served with onions, boiled potatoes, ripe bananas, hard boiled eggs and avocado slices. Our verdict? Don’t knock it till you try it. And if you can’t make it to any of these fabulous destinations, don’t forget that we offer four different Maui foodie tours of our own, right here on the beautiful Valley Isle. You’ll receive behind-the-scenes tours and tastings from the island’s top craft food, coffee, spirit, beer and winemakers, and learn plenty of fascinating Maui information along the way. We look forward to meeting you in 2019. Aloha!